Custom Safety Bumpers Protect Employees and Save You Money | Mantec Services Inc. Regardless of your industry, employee safety matters. From transportation to healthcare and government to oil and gas, no business has a more valuable asset than its workforce. Ensuring the health and safety of your employees not only protects your business from the cost of lost labor, increased insurance premiums, and expensive workers’ comp claims, it also demonstrates a level of commitment to your rig workers, linemen, cargo handlers, and craftsmen that their health matters. At Mantec Services, Inc., we support our customer’s commitment to employee safety by producing some of the industry’s most durable and effective custom safety bumpers. Our commitment to safety has enabled Mantec to develop lasting relationships with leading airline, MRO firms, and equipment manufacturers to design and produce their own line of custom safety bumpers. While it might seem like any type of safe precaution will do, working with Mantec to improve your business’ safety standards can boost your bottom line. For most industries, labor related costs rank as one of their biggest expenditures. From payroll to benefits to production lost due to injury or illness, you invest a lot in your workforce. Considering the value that employees represent, it only makes sense that businesses make the commitment toward providing a safe working environment. Fortunately, the majority of businesses have come to this realization and have made a commitment you can already tangibly see. While there were approximately 2.9 million nonfatal workplace accidents reported in 2016, according to the U.S. Bureau of Labor Statistics, that number actually marks a continued decline over recent years. Four private industry sectors – retail, wholesale trade, manufacturing, and construction – all experienced a statistically significant decline in occupational injuries and illnesses, according to the BLS. Much of this trend can be attributed to improved safety technology and practices that many businesses have embraced. When injuries due occur, tears, cuts, punctures, lacerations, pinch point injuries and fractures are often the most frequently incurred, especially in manufacturing. Of all the types of reported accidents that occurred in manufacturing in 2016, these types of physical injuries were by far the most common. 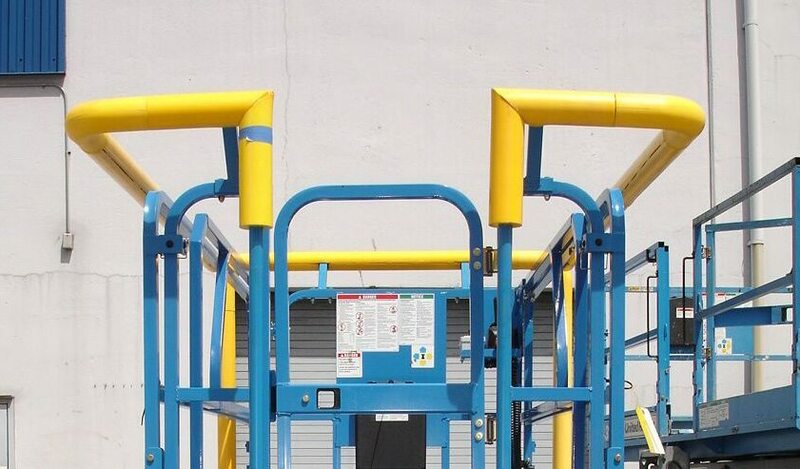 These also rank as the types of injuries most easily avoidable with the placement of custom safety bumpers on equipment, corners, and structures that could otherwise cause an injury. If labor ranks as one of a business’ top expenses, equipment maintenance and repair doesn’t fall too far behind. One industry in particular that understands the importance of protecting its investment in infrastructure is the airline industry. Industry experts put the cost of ramp rash at between $4 and $5 billion annually for the airline industry. That is simply a staggering amount of money to expend on what amounts to simple accidents where equipment such as ramps, tugs, and carts rub, bump, or bang into delicate parts of a plane. While safety bumpers can’t eliminate all of these types of accidents, they can significantly decrease the damage done when a collision does occur. This type of lesson can be applied across manufacturing, oil and gas, and any other industry where collision damage directly leads to repair costs. A little precaution can go a long way to significant savings. If you’re ready to see what Mantec can do to help improve worker safety and protect your investment in equipment, give us a call. A member of our sales team will be happy to discuss the full range of available safety bumper solutions we have to offer. Don’t lose money because you didn’t bother to take the precautions necessary to protect your business. Contact Mantec today.